Hi. I�m Banjo. I�m a Golden Retriever who is totally obsessed with balls. They�re so cool! I�m also a very busy guy. 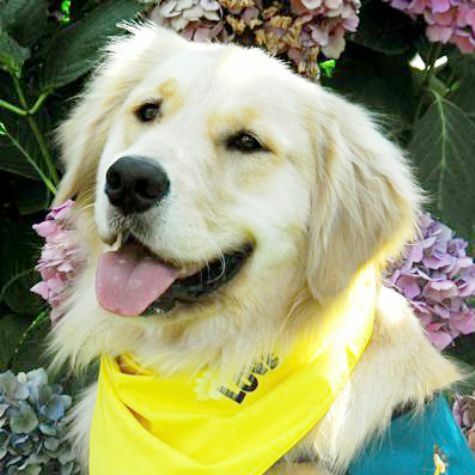 I do agility, rally obedience, and I�m a therapy dog. I love visiting the patients at CHLA and at Shriners Hospital. It�s so much fun getting in bed with the kids and snuggling. And of course, I love the treats and tummy rubs. Sorry, I gotta go now. I just found a ball.